Today is one of those day’s they say, “I woke up on the right side of the bed”, whoever coined that phrase *shaking my head* because I always wake up on the right (hand) side of the bed. I bet they meant the other right … hehe. I’m in this happy-go-lucky mood and I have no slightest idea where it’s come from, not that I’m complaining. Suddenly I have psyche to do things that I had lost psyche doing 🙂 , which is a very good thing. My favorite part of the song is the choruses (whats the plural of chorus?) … I’ve mixed them up to feature the lines I like! 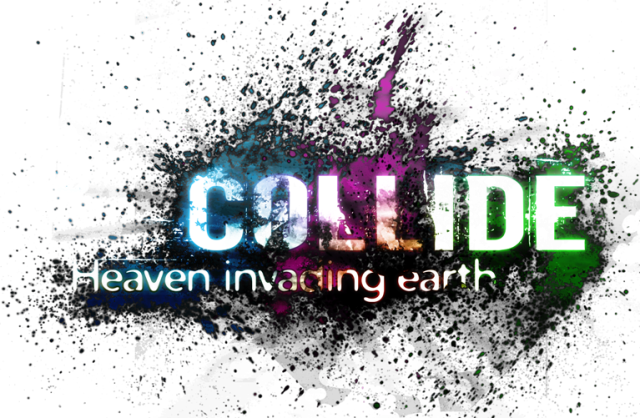 For something to collide, there has to be an opposing force that is conflicting with it. Like opposite poles attract and like poles repel … same concept I guess. I would equate this to life success, friendships, relationships. Basically, nothing comes easy, you have to fight for stuff, for it to work out. In case you ever wondered why everything can be so hard sometimes, it’s because heaven and earth are having are colliding. Heaven is trying to make it heaven here on earth, while earth is trying to occupy it’s place and make it earthly. If they merge and form a good union … everything is heavenly and awesome, else hell breaks loose and depressing … okay that’s a joke, I done why life can be such a behind (euphemism at it’s best) sometimes. Everyone is different ->and different people have different views, opinions, objectives, goals and so on. Then how do we make it together, because in the long run, a man is not an island? You need another to be able to achieve that which you’ve set out for. Your difference has to finally meet and I’m pretty sure they (the differences that is) ain’t going to sit around and wait to see what happens, they’ll have a go and eventually collide and the outcome could be either for the worst or for the best … surprise! surprise! This right her explains why I don’t like surprises, seeing as I’m human, I would love everything to be the best always. Just to remind you that, no one has it all because even the best fall down sometimes and yeah, even the stars refuse to shine (do they?) … lol, just that the best and the stars never give up at any given circumstance. So giving up was never part of the plan … yah! Okay, now go have a lovely evening … be happy, be the best, be a star and don’t be afraid to collide, it’s a way of life! And this is my song of the day —> That’s more like me!